When you have billions of users and are on the phones of 1 in 7 people across the globe, it makes sense that your usage numbers fall into the “Holy sh*t, that’s a lot of” category. 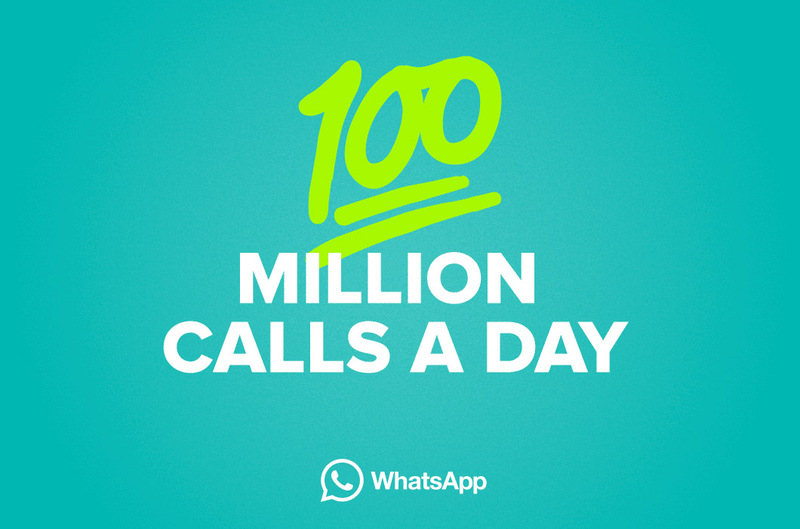 The latest example of such from WhatsApp was announced today via blog post, where the increasingly popular chat app said that its users place 100 million calls per day. PER DAY. Another way to put that would be 1,100 calls every second on WhatsApp. And I still don’t use it, nor do I know anyone who does. But for those of you who do and know others who do as well, enjoy it – I’m sure it’s a fantastic chatting experience. I’ll just be over here griping at Hangouts, its bugs, and the fact that I can’t swipe the navigation drawer out from any screen.